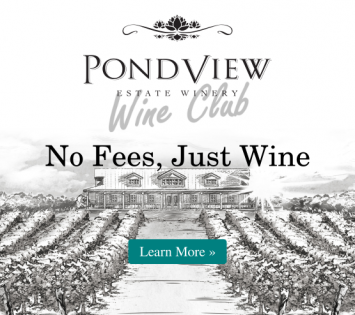 PondView Estate Winery celebrates five years making award-winning VQA wines. NIAGARA-ON-THE-LAKE, Ont. (May 25, 2015) — When Lou Puglisi was a young man, he was intent on buying a sports car. Lucky for him, he heeded the sage advice from his father. Building on his family tradition, Lou worked his land hard, producing some of the best vinifera grapes in the Niagara Appellation. His efforts earned him the honour of Grape King in 2008, recognition of the top grape grower in the province. As part of his duties as Grape King, Lou travelled to British Columbia for a tour of the Okanagan Valley — and decided a new adventure was in the making. Lou opened his winery in 2010 with a goal of producing 2,000 cases of wines. Five years later, 15,000 cases of VQA wines are coming out of PondView. On June 19, Lou welcomes you into PondView’s backyard to celebrate PondView’s fifth anniversary. Lou will be behind the barbeque grilling up his favourite feast with something for everyone to enjoy. Pair this nicely with a flight of 4 of our featured wines, good company, and live music for a fun evening! Please join the PondView family to celebrate and have the opportunity to get to know the winery and try some excellent food and wine! Tickets are $40 and can be purchased in advance.